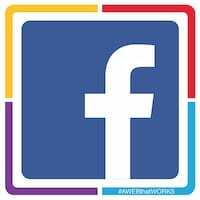 Facebook announced April 11, 2018 that it’s terms for Custom Audiences and use of Facebook Business Tools, including pixels, SDKs, and APIs are changing as of May 25, 2018. These Business Tools Terms govern your provision of the Customer Data to us and your use of Facebook Business Tools. Your use of these Facebook Business Tools may also be governed by the Facebook Platform Policy. These Business Tools Terms do not replace any terms applicable to your purchase of advertising inventory from us (including but not limited to the Facebook Advertising Policies at https://www.facebook.com/policies/ads), and such terms will continue to apply to your ad campaigns. Facebook’s Custom Audience terms (currently available at https://www.facebook.com/ads/manage/customaudiences/tos) will not apply to audiences generated through the processing of Event Data under these Business Tools Terms. We reserve the right to monitor or audit your compliance with these Business Tools Terms. To the extent the Customer Data contain personal data which you process subject to the General Data Protection Regulation (Regulation (EU) 2016/679) (the “GDPR”) , the parties acknowledge and agree that for purposes of providing matching, measurement, and analytics services described in Paragraphs 2.1 and 2.2 above, that you are the data controller in respect of such personal data, and you have instructed Facebook Ireland Limited to process such personal data on your behalf as your data processor pursuant to these terms and Facebook’s Data Processing Terms, which are incorporated herein by reference. “Personal data,” “data controller,” and “data processor” in this paragraph have the meanings set out in the Data Processing Terms. Previous Previous post: Increase the reviews you get on your Google My Business page, by giving your customers a direct link.